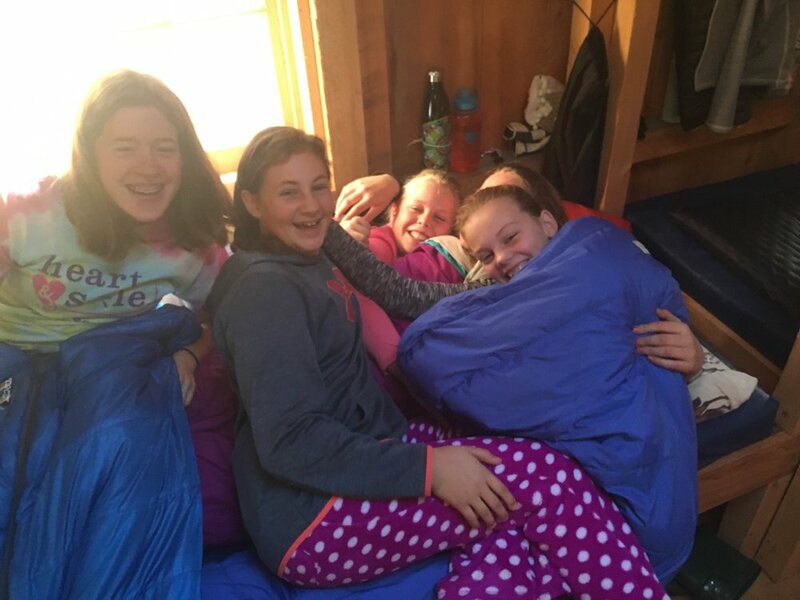 The 6-8th grade girls kicked off the 2016-17 Unplugged year last week with a small Meet & Greet at the Northshire Bookstore, and an overnight at the BBA Mountain Campus cabin. At the Meet & Greet, we played fun name games and other icebreakers to get to know each other. 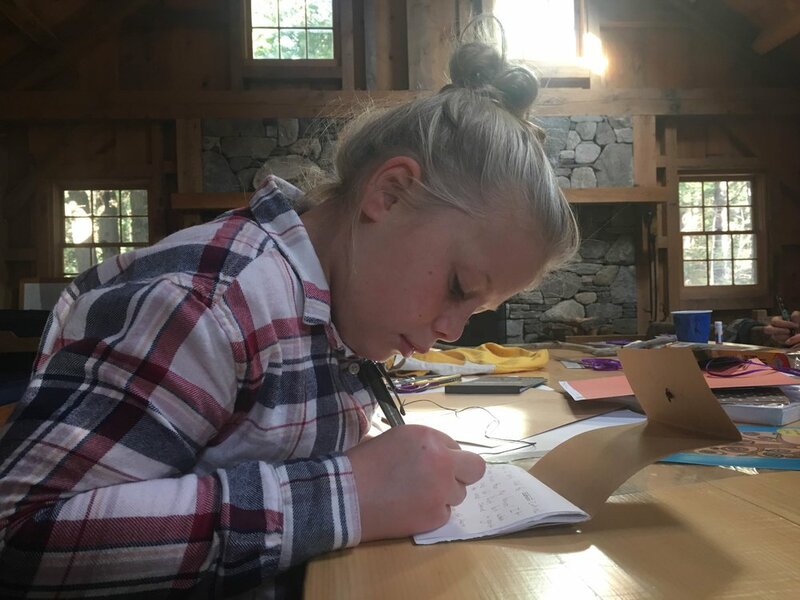 After a delicious pizza dinner, we each crafted and decorated a journal to be used for reflection at this year's events. 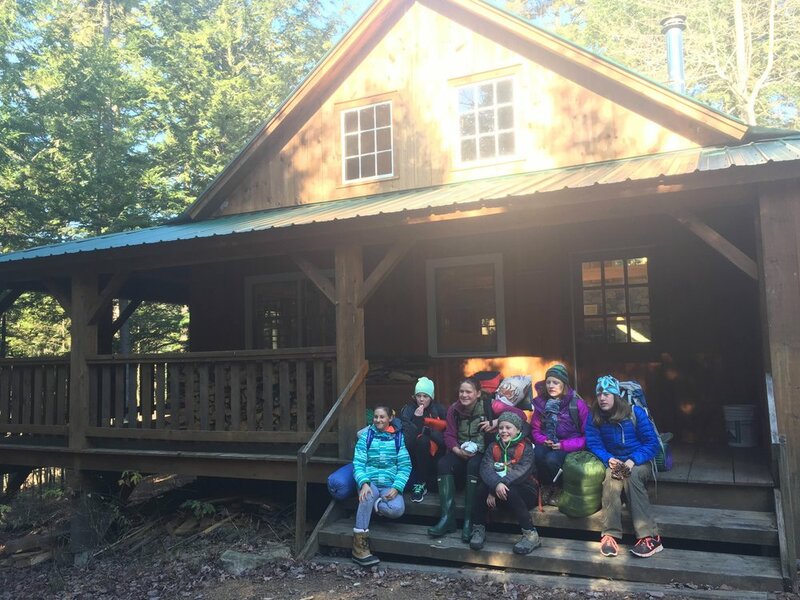 On Friday, a crisp November afternoon, four brave middle school girls met Maggie & Marissa at the BBA Mountain Campus parking lot to hike into the cabin for an overnight. We dropped down to the river along The Wright Way trail, winding along its banks and through the woods until we arrived at the beautiful, rustic cabin. 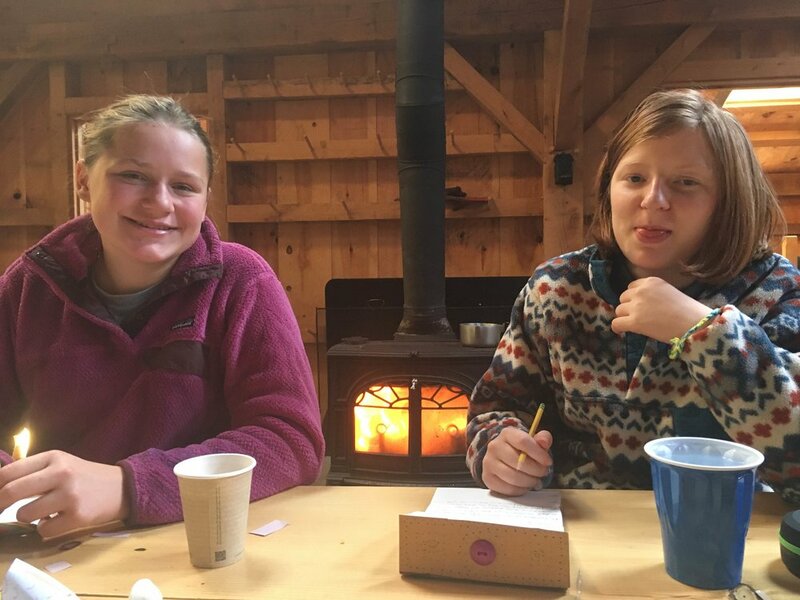 Equipped with a bunk room and a wood stove, we lit a fire, made hot chocolate, and settled in for a cozy candlelit night. With just enough time to wander the mountain campus grounds before sunset, we got a lay of the land, including a nearby beaver pond. Two girls joined the group late, just in time for dinner! Together, we cooked up fajitas over a camp stove, and shared stories around the circle. The girls who hadn't yet made a journal did so, and everyone had the chance to make a DIY firestarter out of pine cones, wax, and salts. Chatter from the bunk room drifted into the night from inside our warm cabin. When it was time to leave the next morning, most girls agreed that the only low of the trip was not being able to spend another night! Looking forward to seeing the same girls, and more, at our next event: December 11th 1:00pm to 4:00pm - Indoor rock climbing at the Rutland climbing gym, and friendship bracelets!